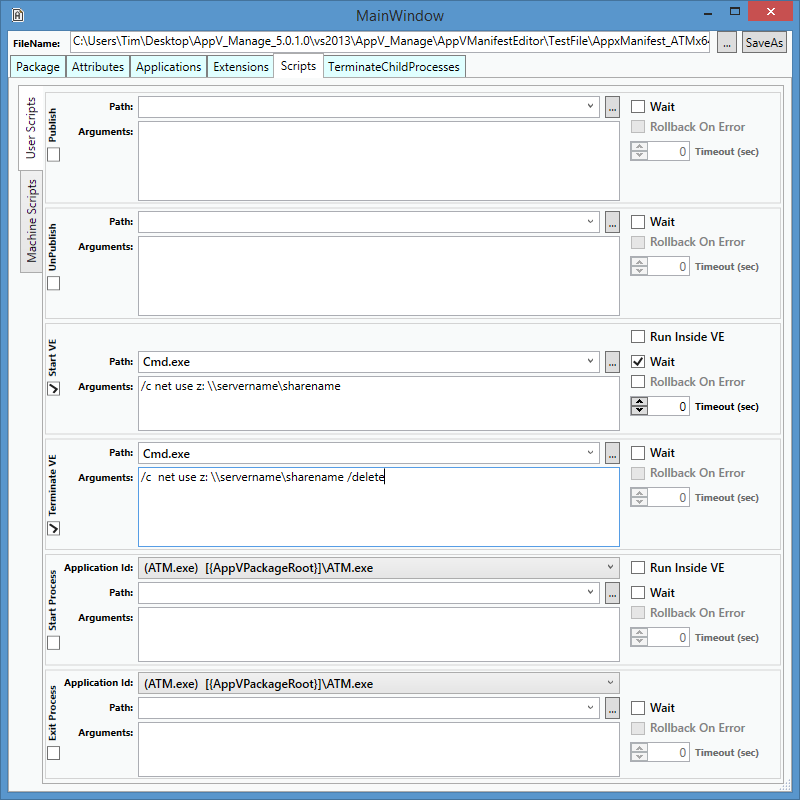 AppVManifestEditor is a new free GUI based tool for editing the AppXManifest file that Microsoft is exposing in the sequencer for editing in the new 5.1 release of App-V.
Microsoft is making the file available for export/import within the sequencer. The syntax of this xml file is undocumented, and editing the xml can be very tricky, so a tool is the best way to go. Just install this on the sequencer (the install won’t affect your packages). Export the file, edit it using this tool, then import it back in and save off the package. This will allow you to customize your packages like never before — and no more DeploymentConfig editing either! 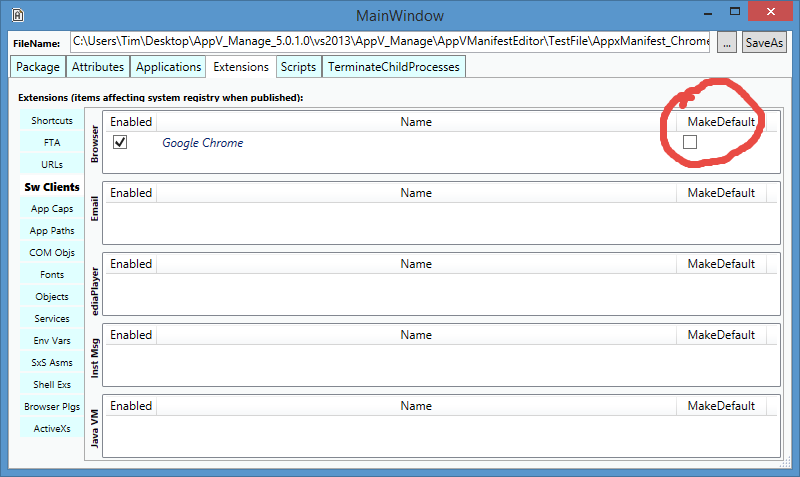 Use it to not only add scripts inside the package, but add TerminateChildProcess entries, change shortcuts, add ApplicationIntellegence records, and remove or configure individual extensions that are causing problems. If you find this tool helpful, you might also want to check out ACE 1.4 from VirtualEngines. ACE is focused on the script editing mostly, but is intended to be used after you save the package off.